Have you ever wanted the benefits of an adjustable bed, without the cost? Do you watch TV in bed and find it uncomfortable? We have a solution. The Bodyform® Orthopedic Wedge Recliner allows you to transform any bed or flat surface into an adjustable bed. Elevate the upper body or your legs or both for a more restful sleep, also makes it comfortable for hours of watching TV. Proudly Made in Canada, Bodyform® Orthopedic has been trusted by Canadians for over 40 years providing ultimate comfort, quality, and long-lasting support products. The Bodyform® Orthopedic Wedge recliner is the perfect height for elevating the back, knees or legs. Made from Support Foam, designed to provide the ultimate in comfort and support. 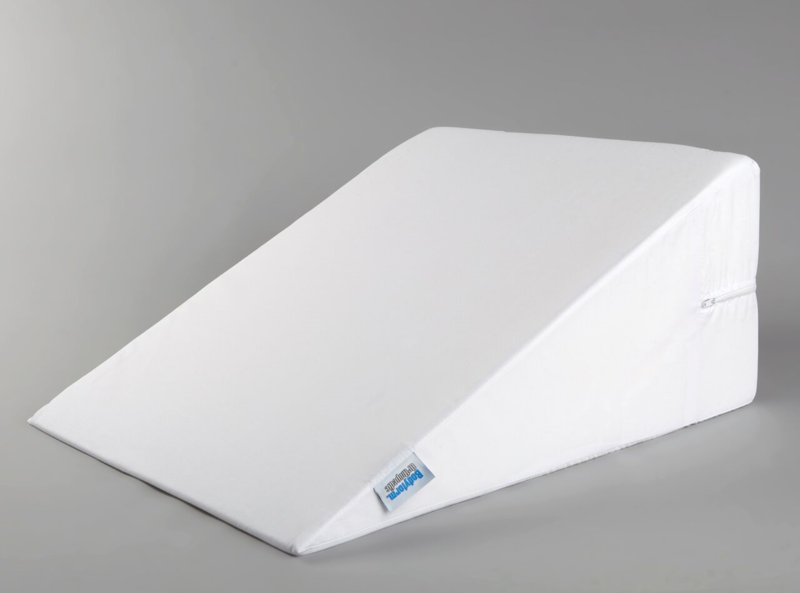 Proper Support Foam is 100% hypoallergenic. The High-Quality zippered percale cover is easily removed for washing.